It is necessary to note that the president of the United States of America, Donald Trump, stated on Tuesday that his government has ended the unreal “battle on clean coal”. The president has also made it known that he wants to make fossil fuel the main trend of the world. However, the American government have set out plans to instruct the Congress to decrease the Department of Energy’s Renewable Energy and other agendas that are associated with efficient energy by 72% in 2019, this was stated by a draft budget that was revealed by Washington Post. The draft document says that the White House will also ask the congress to stop the weatherization program which has trained lots of people and has helped alleviate bills on different house owners across the country. Also, the budget proposal will obliterate state energy grants and eliminate the study of fuel efficient vehicles. Furthermore, it is also necessary to note that the level of recent expenditures of the Energy Efficiency and Renewable Energy (EERE) is about $2.04 billion but Trump’s administration is ready to decrease this amount by $575.5 million in 2019, this was also reported by the Post. In 2018, it was known that Trump wanted $636.1 million to be spent on EERE department, but it was later rejected by the Congress; this was due to the fact that they were in support for an increase in the amount stated by Trump. We all know that the need for the environment to sustain renewable energy is very important and this is what the EERE supports. The office of the EERE has always been devoted to support the growth of ecological transportation, renewable power, efficient homes and structures across the world and not just the United States alone. It is also vital to know that the EERE program called “SunShot” has drastically decreased the total costs of solar energy in the United States and its environs. Much of the findings of the EERE is mostly deployed on research and most times at the National Renewable Energy Laboratory in Golden, Co. Also, much of the laboratory’s $293 million budget in 2017 came from the EERE. Sadly, the cut of the budget would be so drastic. Additionally, the draft has also called for the decrease in the research of fuel efficient vehicles by 82%. This also means that the document has made plans to cut the budget for the production of electric cars from $307 million (which is largest program right now) to $56 million in 2019. Funds made specifically for bioenergy technologies have been channeled to study renewable fuels from sources which are not from food. Also, this plan will decrease the amount of funds being spent on more efficient building technologies and research into geothermal, hydro, and wind power. The EERE programs on renewable energy takes about 7% of the Department’s overall budget, majority of the budget is channeled to maintain the country’s nuclear weapons stockpile and take care of different areas that have been adulterated by the country’s nuclear activities. Trump’s decree on the cuts comes at the same time when he made the decision to enact tariffs on important solar panels and other equipment that are correlated to it. In addition to this, most people have stated that this move will not only suppress the present solar growth, but it will also have bad effect on one of the increasing job sectors of the economy and decrease clean energy innovations. Although, it is more likely that the draft document might change before the government’s budget is due this month, but as it stands now, the Post has made it clear that the White House will set a preliminary point for certain negotiation to take place; it will also give a statement of resolved and other policy urgencies. However, the cut under the leadership of President Donald Trump has shown to the world that it is uninterested in fostering renewable energy and producing environmental friendly products. 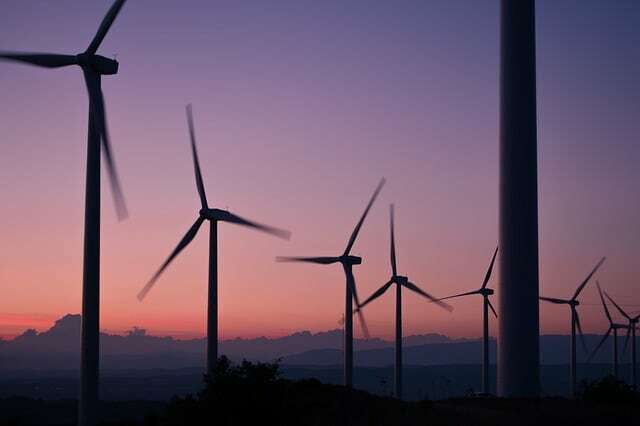 The cut will also lower the funding of research and findings when it comes to knowing more on alternative energy sources like wind, and hydrothermal power. Nevertheless, Trump’s budget will be disclosed later this month, of which everyone is anticipating to see. The post White House Has Made Plans to Decrease Renewable Energy Programs By 72%, Report says appeared first on Conserve Energy Future.